Product prices and availability are accurate as of 2019-02-25 04:24:27 EST and are subject to change. Any price and availability information displayed on http://www.amazon.com/ at the time of purchase will apply to the purchase of this product. 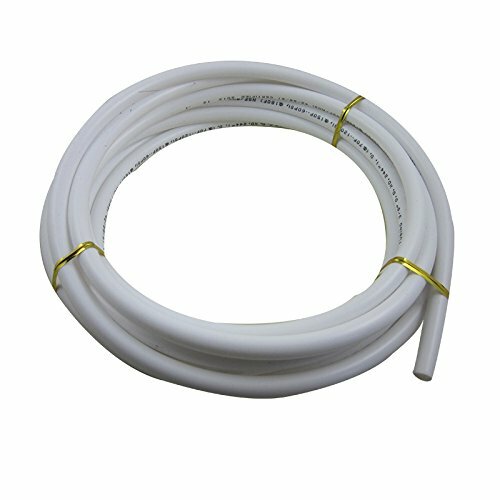 This water pipe is compatible with all water dispensing fridges or filters, under-sink systems and faucets using various water pipe fittings. High quality,CCK brand,NSF certification. 3/8" PE white pipe. Each bid for 5m.